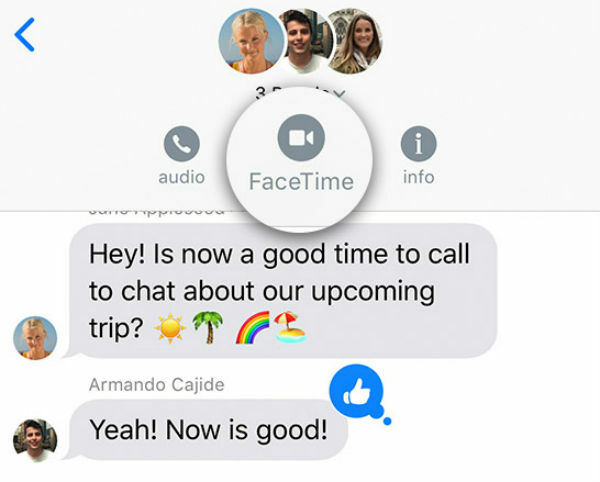 Whether you’ve just picked up your first iPhone or want to start video calling on your current Apple device, FaceTime is by far the easiest, most seamless way to do it. Aside from video calling, if any of your contacts use an iPhone, you’ll be able to audio call them completely free of charge, as long as you’ve got a good enough internet connection. So…where to start? Let’s make sure you actually have it first. …and voilà! It should be sitting on your iPhone’s home screen. Do I need an account for FaceTime? Provided you already have an iCloud account (the Apple ID you can see at the top of the Settings app), you won’t have to spend any time creating a new username or password, so don’t sweat it. If you don’t have an iCloud account though, check out our guide to setting it up. If you already have contacts registered in your phone, you’ll find all of them sitting in the FaceTime app already. Just thank Apple’s awesome interface! In the ‘To:’ box, type in the contact you wish to call. You’ll see their name pop up as you type. Click on the contact. You’ll get an option for either an Audio or Video Call. Choose which type of call you want and wait for them to pick up! When you’re calling, the front camera on the phone will display your face. When they pick up, you’ll go into a box in the corner and your contact’s camera feed will take up the screen. Screenshot – Use the camera button in the bottom left corner to capture a memorable moment. Effects – Add some colour and fun to the call with Apple’s Animoji feature, or put extra text or filters on the screen. Mute – If you get briefly distracted, you can choose to turn off your microphone to deal with it without disrupting the call too much. Flip - Swap your video feed to the back camera if you want to show your contact something near you. After you finish your conversation, simply press red ‘end’ button in the bottom right. You’ll be taken to a similar screen to your normal phone calls, where you have the option of your usual features like Speaker, Mute and typing in numbers. The call will sound different though – you’re communicating over internet rather than a mobile provider, so it may not sound as crisp as over the phone. When typing in contacts, just add more. The rest is exactly the same as before. You can also call the members of your group chats straight from the iMessage app. Just tap on the contacts at the top of the screen, and you get the option to audio or video call them all. Is there a FaceTime app for Android? FaceTime is an exclusive app for Apple, so you won’t see an option to download it on the Android store. Can I FaceTime people on Android? Unfortunately not. You can only FaceTime contacts who also have an Apple device. Absolutely. It comes at no extra charge for every Apple device owner. Is there FaceTime for PC? As long as your PC is an Apple Mac or Macbook, you can FaceTime using its webcam. 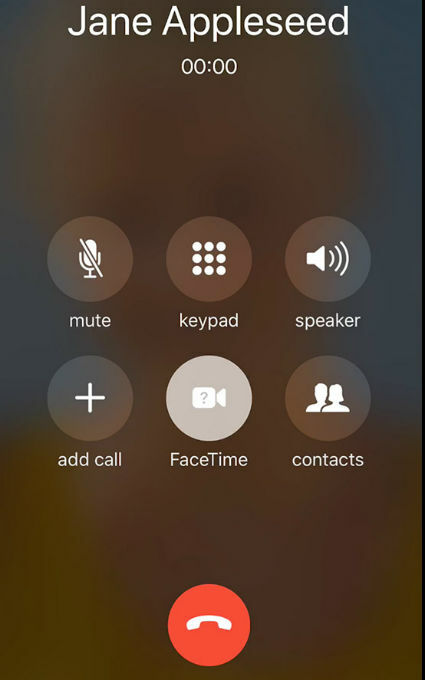 If you’re connected to Wi-Fi, FaceTime will use that for the call. But you can also call using your mobile internet, if you’re out and about. And there you have it, you’re ready to FaceTime. If you have any more questions, please don’t hesitate to leave it on the comments and we’ll get back to you.